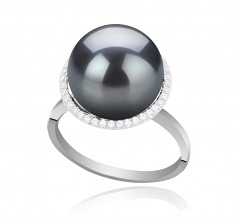 If you are not a Queen but would like to look like one, the Yanaka 12-13 mm AA Quality Tahitian Black Pearl Ring is the statement piece for you! 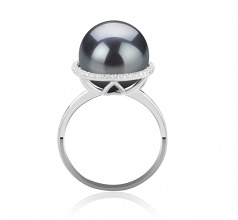 This big, bold, beautiful ring perfectly captures the essence of the black pearl and how stunning it can truly be. 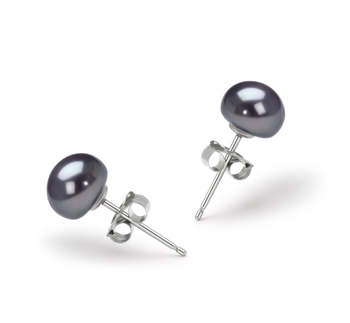 The large, 12-13mm pearl sits nestled inside of a delicate, diamond-rimmed basket, displaying the enchanting color and sophisticated look of the Tahitian pearl against the silver encasing. This ring is not for those who like to play it safe, but for those who like to live loudly and let their jewelry speak just as boldly! 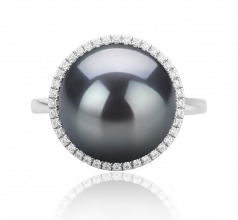 Whether you are at a fancy cocktail party, or spending an evening with the girls, this ring will be the perfect addition to any formal or casual look. 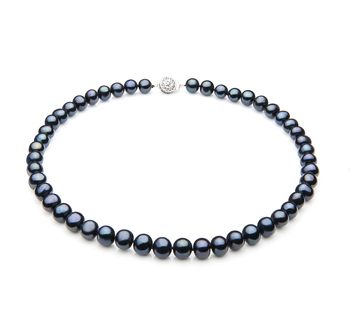 All of our Tahitian black pearls are varied in the under/overtones that they may have, ranging from pink, blue, silver, green, and yellow. 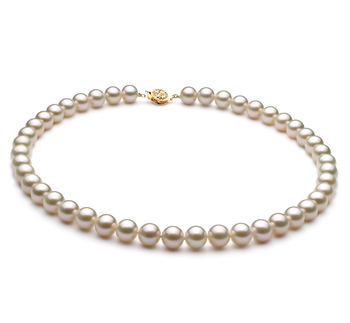 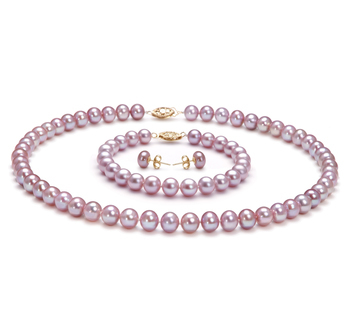 Our pearls are naturally cultivated, meaning that they are not painted. 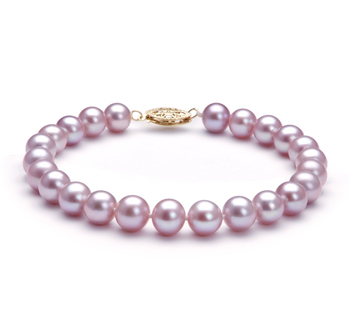 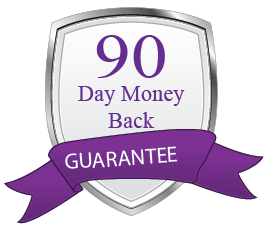 This ensures the highest quality natural pearl. 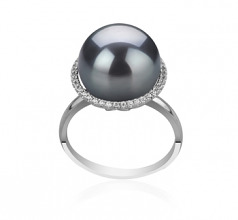 Wow your friends and family with this lovely, unique ring! 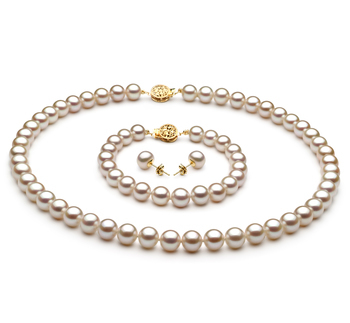 Show only for "Yanaka Ring"